Coventry sign Nouble; McQuoid returns to Bournemouth. Coventry City have this afternoon completed the free transfer of former loanee Frank Nouble. 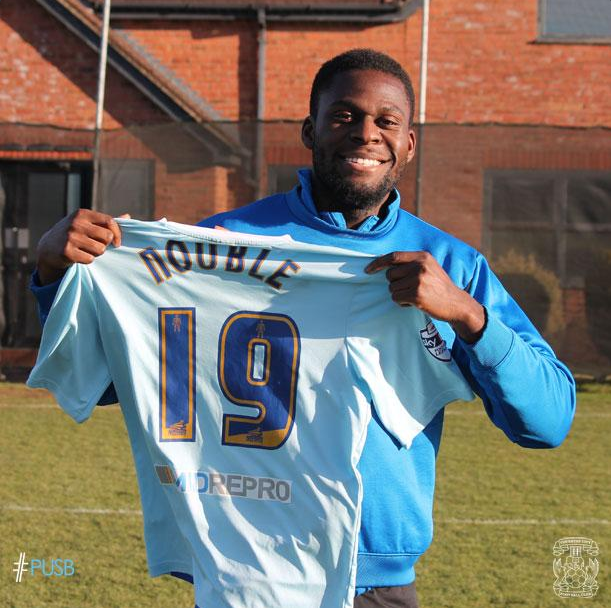 Nouble, who originally joined The Sky Blues on loan in September, finished his loan with the club after last Saturday’s victory at Walsall. Earlier this week, upon returning to parent club Ipswich Town, he agreed to a mutal termination of his contract, allowing him to join City on a free transfer. Nouble has scored four goals in 15 appearances for the Sky Blues, including the only goal of the game in City’s return to The Ricoh Arena in August. Speaking to the club’s official website, manager Steven Pressley praised Nouble’s attitude and challenged him to earn a long-term future with the club. “We’re delighted to get Frank signed up until the end of the season. During his time at the club, we believe he has shown that he has the potential to develop into a Coventry City player. One player has also departed Coventry City today, with the news that Josh McQuoid has returned to parent club Bournemouth for treatment on an achilles injury. With his loan due to expire in the next week, Steven Pressley has confirmed he has left the club, and they will not be perusing an extension. “His loan runs out in eight or nine days so he’s unlikely to feature and now he is back there. « Fleck signs Sky Blues’ contract extension.